Although the demise of retail properties has been greatly amplified by media outlets for several years, there is strong optimism from those in the industry that the retail sector will continue to perform very well in 2019 and beyond. Consumers love options-shopping, dining, entertainment options-we love all of it. The options available to a consumer in terms of where they spend their dollars is expanding every day. Yes, it is convenient to sit in front of the television and “point & click” your way to shopping happiness without leaving the comfort of your home. Not much of an experience though. And I still need to get up from my couch for snacks while I’m googling this item or checking availability and delivery for another item. And I always seem to have buyer’s remorse and end up returning more than 50% of the stuff I buy on-line-wrong color, the item looked different on-line than in person, it doesn’t fit right, it looked better on-line, etc. Point and click is here to stay but that doesn’t mean the end of physical stores by any means. In fact, more on-line retailers have plans to open physical storefronts in 2019 and beyond than ever before. Why? Because they are listening to their customers who are telling them they NEED to have a physical presence-even if it’s just to stop in and pick up the order they purchased on-line. The experience of great customer service, of a really neat looking store creates imagery of the brand, and thus builds brand loyalty, driving revenue. Sounds simple, right? But somewhere along the way the “sky is falling” mentality about the death of retail gained so much momentum with a very small sampling size, that too many consumers and professionals got caught up in the belief and made plans to attend the country-wide funeral of all retail properties. Hmm. Hasn’t happened, nor will it happen any time soon! To be sure, there are niche pieces within the retail sector that cause some concern-and rightfully so. We have been over-malled for a long time in this country. Way too many of the same store formats, boring food court options, and the same rosters of tenants in one enclosed mall as the next. That’s not a consumer experience to get excited about. Not in today’s vibrant and expanding retail industry. There are some really great brands that are rolling out new concepts, new retailers that WANT a physical presence to drive foot traffic, dining and entertainment options that are fun, affordable and eclectic. They are creating new experiences that intertwine shopping with dining and entertainment. And they are doing a great job-in many cases much better than the traditional, or legacy retailers who have been somewhat slow in their response to omni channel presence and on-line competition. 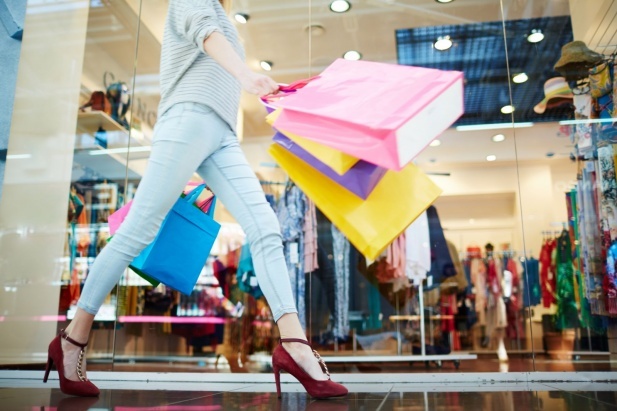 It’s a new retail landscape out there, and those concepts that have the flexibility to maneuver and adapt quickly to shifting demographics and consumer preferences will continue to do very well. They understand the idea of creating experiential retail/dining/entertainment options that appeal to consumers-that’s a great thing for all of us because we like our options. There are many functionally obsolescent shopping malls/retail properties, and an equal if not greater number of inferior retail districts around the United States. These properties and areas should be recreated, revitalized, reenergized, it’s time! Well positioned retail properties in bustling hubs of activity (think live/work/play), or near transit-oriented options that offer consumers something different, something fun, something new and unique will continue to attract consumers hard earned dollars, and should perform very well. Additionally, projects which include a combination of retail, dining, medial or educational services, even light distribution services will be the new norm for the traditional retail property. Landlords must be keenly aware of every retailer and dining/entertainment concept they are considering for their property. While many landlords (and lender’s) have typically desired long lease terms with their tenants, that too is changing. Shorter lease terms (3-5) years are becoming the preference of many landlords and tenants alike. With the rapid evolution of so many different retail and dining concepts, and those concepts often reinvigorating themselves or their product/service offering every 5 years or so, it makes a lot of sense for property owners and tenants alike to evaluate the performance of these new(er) brands and concepts. Who knows if some/any/all of these concepts will still be relevant in 7 or 10 years from now? Why would a property owner want to encumber themselves and their property for such a long duration if they have little information or performance measures of a new tenant or a new concept at their property? Differentiation, tenant mix and options available at the property shall continue to attract consumers and drive strong performance at these properties. In New Hampshire, there are several exciting retail/dining/entertainment projects underway or nearing completion that define the experiential concept. Joe Faro’s Salem project promises to offer living/shopping/dining and entertainment options that will attract consumers from New Hampshire and beyond, Brixmor’s redevelopment of their Salem project will introduce new and different shopping and dining concepts, and Weston Associates two (2) Nashua projects along Amherst Street are already gaining the attention of national retailers and dining concepts that will be a welcomed addition to a thriving retail corridor. Secondary markets throughout New Hampshire are seeing planned projects that incorporate many of the elements mentioned throughout this article. There is a lot to be excited about regarding New Hampshire retail for 2019 and beyond, and Berkshire Hathaway HomeServices Verani Realty’s Team of seasoned Advisor’s are ready to help guide investors, developers and tenants alike to make informed decisions about the best opportunity for their concepts. David A. De Lise is the Director of the Commercial Division at Berkshire Hathaway HomeServices Verani Realty in Londonderry, with offices throughout northern new England. David can be reached at 603-845-2286 to discuss your specific commercial real estate needs and objectives.